That was freaking amazing! I’d love to try this. One thing would be really helpful, and I know you touched on this briefly–but for those of us that can’t afford the big strobes… it would be so helpful if you would try the setup using speedlights and let us know the specifics on flash and camera settings to get the same effect. I would be fumbling with it all day, but that would really be helpful and informative for us non-professionals. Did you have to protect your camera from the splashing? Спасибо за отличный материал, очень полезно! I made a mirror house using 4 rectangular mirrors from Dollar Tree store. Mounted them with L s to a board. A small doorway was left to let the camera lens peek in to the “room”. Placing a small object in the room gives many reflections. variations of the corner angles give different effects as does angle of the camera. Variation is to have floor with pattern, or top as a mirror, or top is translucent plastic. Photos turn out interesting. Have fun and feel free to use. Evan, u r soo cool. I love your tutorials! It has inspired me to get my arse in gear again!! It’s been a really tough year for my family and myself, but I’ve found my creative side again. I have your trick photography course and I showed my 11 year old yesterday and he loved your tutorial with the snow and light painting affects. Thank you so much you are great! Have started a Flickr account (Photo fairy) I have uploaded a shot of high speed shot of strawberry in water and am feeling more confident about getting my stuff out to the world!! Thank you very much for sharing all your creative ideas and experiment with us! This is so fun and Interesting – must try this soon! Hi Evan! Love all your tutorials and books etc. 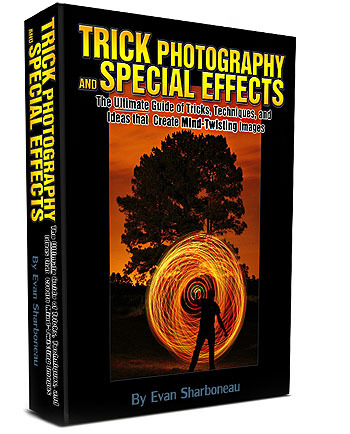 I am already subscribed to your mailing list but would like the Trick Photography book that you are giving away to subscribers. How do I go about getting it? You are The best man ….. I have finished going through your Master Class and there was a huge amount of help there, may thanks. Great tutorial Evan, keep ’em coming. I was very pleased with the Master Class I purchased from you earlier this year, very useful stuff. Any chance you’ve ever tried to use the AC3 on a Yongnuo 622 trigger? I doubt it would work but I’ve looked everywhere trying to find if anyone has tried it. Looks like you’ve really moved up with your equipment from a couple years ago. Congrats! Ha-ha.. Found a sockphotho of you in norwegian media..
Really great tutorial thanks for sharing this tutorial with us. Evan, you are an inspiration! I tried a multiple arm sort of ‘Bhudda’- type shot which was done using just an iPad as a light source in your ebook. My attempt was unsuccessful ….. Cool! I’m appreciate on this creative tutorial. Thanks a lot for sharing your knowledge with us. Could you link me some example images of stuff you shot? This sounds very interesting. hei. please tell me how to create that video, i do want to know.. its amazing trik..
i wanna start my own photography m 18 years old so i wanna b guided properly by experts like u that how to take perfect kliks and all that stuff …………………………….so plz help me MR.
Could you please tell me what camera do you use to record your video? Photography is my hobby. I get more information to the blog about photography. Thanks for sharing it. It’s master class and the post is helpful. I think that it help me professional work. Can u send me some of those free photo pamphlets u talked about in one of ur tutorials. Thanks. This video tutorial is very useful and informative . Like your tutorial . So thanks . Very useful and instructive collections of a tutorial. Nowadays photography is the essential for every business. Your wine glass step by step photography guidelines are helpful for every newbie. As an enthusiast photography artist, I think it’s very creative and reliable tutorial for learning new things. Very enthusiastic! I am seeing and hearing your wineglass tutorial.In point of fact, you create this effectively and efficiently. Your wine glass photoshop lighting effect technique is awesome. Awesome editing tutorials… thank you thank you so much.. I tried to purchase the tricks etc. for $49.00 and expected to pay via PayPal with a click or two. Instead I was directed to some form of click bank I never heard of and spent 10 minutes trying to pay and got fed up and found this place to sound off. I’d still like to make the purchase and will if you contact me and help me out. Amazing photography tutorial and a lot of information share this blog. I also help to learn this blog. Amazing photography tutorial and a lot of information share this blog. I also help to learn this blog. Thanks for sharing this tutorial with us. 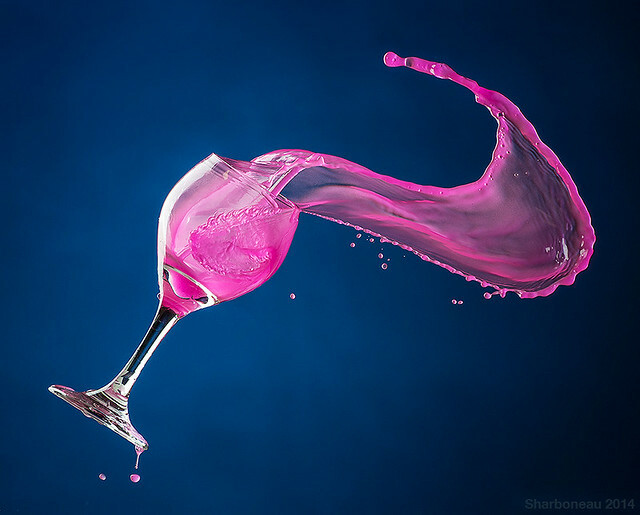 amazing wineglass photography tutorial. i hope this site become better. I really like your photography and i should try to make this kind of wine glass!